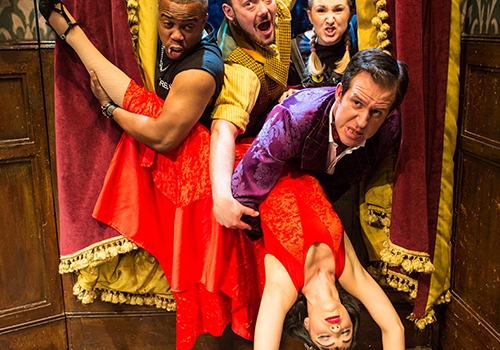 Created by Mischief Theatre Company, The Play That Goes Wrong first began at a fringe venue in Walthamstow. Since then, the fantastic farce has gone on to dominate London's West End, entertaining audiences at the Duchess Theatre and earning an Olivier Award for Best New Comedy in the process! Mischief Theatre have since taken over the city, with Peter Pan Goes Wrong becoming a regular festive favourite at the Apollo Theatre, and The Comedy About a Bank Robbery stealing the hearts of audiences at the Criterion Theatre. 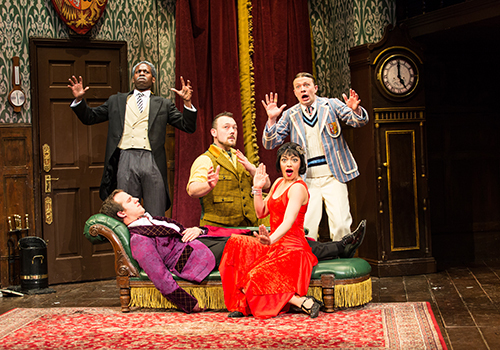 The Play That Goes Wrong is a slapstick farce following the fictitious Cornley Polytechnic Drama Society as they attempt to stage a perfect 1920's murder mystery. However, as the show goes on, things do not go quite to plan! Expect cast disputes, accidents, a set with a mind of its own, costume malfunctions and many many more disasters that result in audience hysterics! As they say in the business, "the show must go on"... But just how much can the disastrous Cornley Drama Society survive before the curtain call? Described as “Fawlty Towers meets Noises Off”, The Play That Goes Wrong was devised by Henry Lewis, Jonathan Sayer and Henry Shields, who also starred in the production when it first opened, alongside Greg Tannahill, Charlie Russell, Dave Hearn, Nancy Wallinger and Rob Falconer. Now, The Play That Goes Wrong stars Kazeem Tosin Amore as Robert, Jake Curran as Chris, Catherine Dryden as Annie, Bobby Hirston as Max, Benjamin McMahon as Dennis, Gabriel Paul as Trevor, Steven Rostance as Jonathan, and Elena Valentine as Sandra. David Kristopher Brown, Liam Horrigan, Matthew Howell, Louisa Sexton, and Laura White also feature in the troupe. 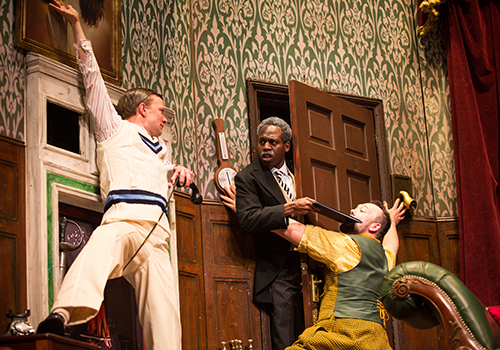 Directed by Mark Bell and designed by Nigel Hook, The Play That Goes Wrong is a tremendous success that leaves audiences in stitches. Be sure to catch the comedy, which continues at the Duchess Theatre London. 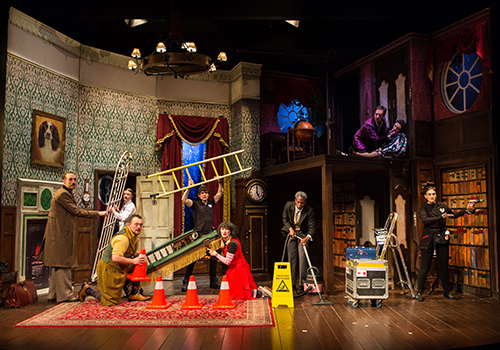 The Play That Goes Wrong is very suitable for children aged 8 and above, who will enjoy the fun farcical nature of the show. Under 5's are not permitted. Click here for the Duchess Theatre seating chart and seat price guide.